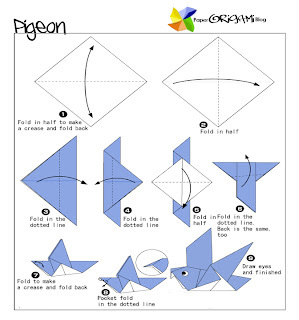 Traditional Origami:Pigeons Pigeons and doves constitute the bird family Columbidae within the order Columbiformes, which include some 300 species of near passerines. 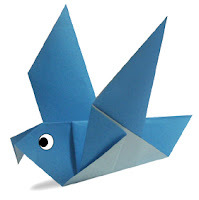 In general terms "dove" and "pigeon" are used somewhat interchangeably. 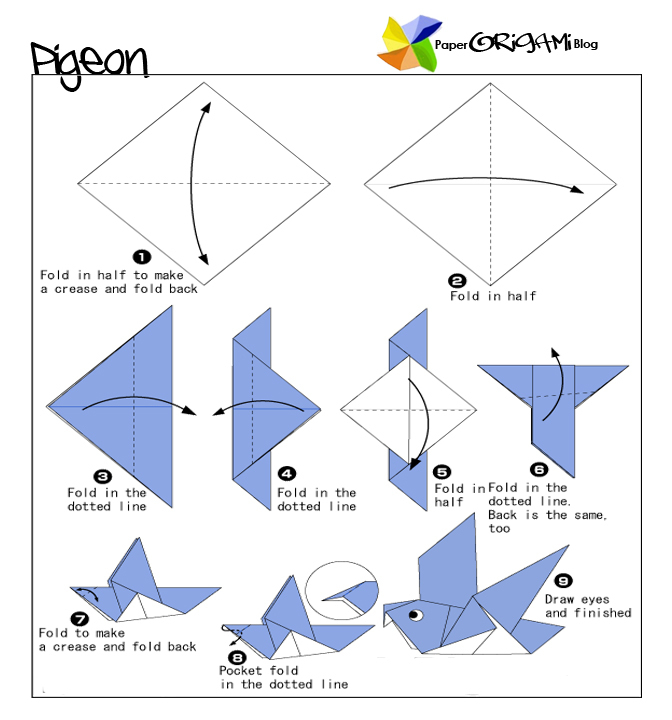 In ornithological practice, there is a tendency for "dove" to be used for smaller species and "pigeon" for larger ones, but this is in no way consistently applied, and historically the common names for these birds involve a great deal of variation between the terms "dove" and "pigeon." This family occurs worldwide, but the greatest variety is in the Indomalaya and Australasia ecozones. Young doves and pigeons are called "squabs."